How did Arte Público Press start? In 1972, our founder and director, Dr. Nicolás Kanellos, was a faculty member at Indiana University-Northwest just outside of Chicago, and he had numerous Latino students who were very good writers. He realized there were no publication opportunities for them, so he started a magazine called Revista Chicano-Riqueña. The press grew out of the journal; our first book, La Carreta Made a U-Turn by Nuyorican poet Tato Laviera, was published in 1979. In 1980, Dr. Kanellos was invited to join the faculty at the University of Houston and bring the press with him. We have been based at UH ever since. Tell us a bit about Arte Público. What are your influences, your aesthetic, your mission? Arte Público Press publishes contemporary and recovered literature written by US Hispanic authors. As a non-profit, mission-driven press, our goal is to ensure US culture includes, values, and reflects Hispanic contributions. Arte Público began publishing Latino authors of the US, including Sandra Cisneros’ The House on Mango Street, and works by Ana Castillo, Denise Chávez, and Gary Soto. In 1990, Arte Público Press launched the Recovering the US Hispanic Literary Heritage Project, a national program to locate, identify, preserve and make accessible in a variety of formats the literary contributions of US Hispanics from colonial times through 1960 in what today comprises the United States. In 1994, Arte Público launched its imprint for children and young adults, Piñata Books, in an effort to provide culturally relevant books for kids. Piñata Books publishes books for young people that authentically portray themes and customs unique to US Hispanic culture. On the adult side, we’re thrilled to have published John Rechy’s very first novel, Pablo!, written in 1948-49 when he was just 18. Never published, it languished in Special Collections at Boston University until a chance encounter with Francisco Lomelí, a professor at the University of California, Santa Barbara, led to its publication by APP in 2018. 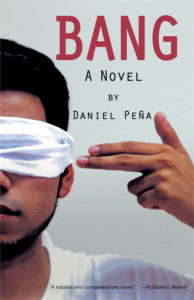 Daniel Peña’s moving debut novel, Bang, follows an undocumented Mexican family living along the US border that is torn apart by the drug trade. 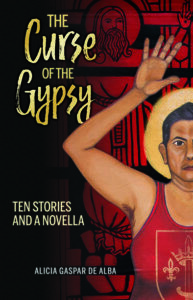 Lambda Award-winning author Alicia Gaspar de Alba expertly weaves poetry, historical events, myth, and legend in her latest, The Curse of the Gypsy: Ten Stories and a Novella. 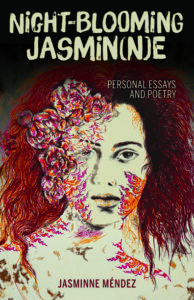 In Night-Blooming Jasmin(n)e, Jasminne Méndez writes personal essays and poetry about her encounters with the medical establishment, experiences as an Afro Latina in Texas, and her longing for the life she expected but that eludes her. We’ve just published a third mystery novel by Manuel Ramos, The Golden Havana Night: A Sherlock Homie Mystery, and look forward to the next novel featuring Gus Corral. In 2019, we’ll publish the first-ever Spanish translation of Helena María Viramontes’ ground-breaking debut, The Moths and Other Stories (Las polillas y otras historias). And attorney Carlos Cisneros returns with another legal thriller, The Paper Lawyer, which explores identity, ethics, and ambition. We’re excited to see the resurgence of independent book stores! How do you cope? There’s been a lot of conversation lately about charging reading fees, printing costs, rising book costs, who should pay for what, etc. Do you have any opinions on this, and would you be willing to share any insights about the numbers at Arte Público Press? Arte Público has been around for almost 40 years and has survived several economic downturns. Over the years, we’ve learned how important it is to diversify our offerings so that when sales in one area decline (book stores, for example), we can lean on other markets (libraries, schools, subsidiary rights, etc.). We are fortunate to be affiliated with the University of Houston, which provides office and warehouse space and services (like human resources, accounts payable, and legal). In addition to publishing material appropriate for a wide variety of ages (literally from kindergarten up to university), we also work to make our books available through a variety of digital providers. 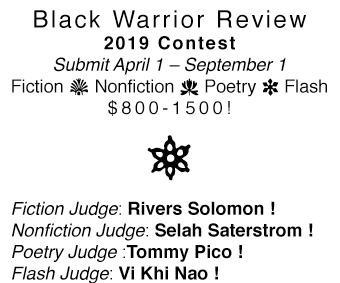 We have talked about doing some digital-only publications, but in the end we’re committed to providing print versions.